To celebrate their 3rd Anniversary, now through Oct 31, Musa Publishing is offering 30% off all its books! Please check out some amazing authors at a spectacular price. Whether your favorite genre is Romance, Young Adult, Mystery, Suspense, Thriller, Paranormal, Historical, Classical, LGBTQ or Erotica, Musa offers it all! Please go to their website, Musapublishing.com, and take advantage of these great prices. You can find my lesbian romance novella, Her Name, originally $2.99, for only $2.09! 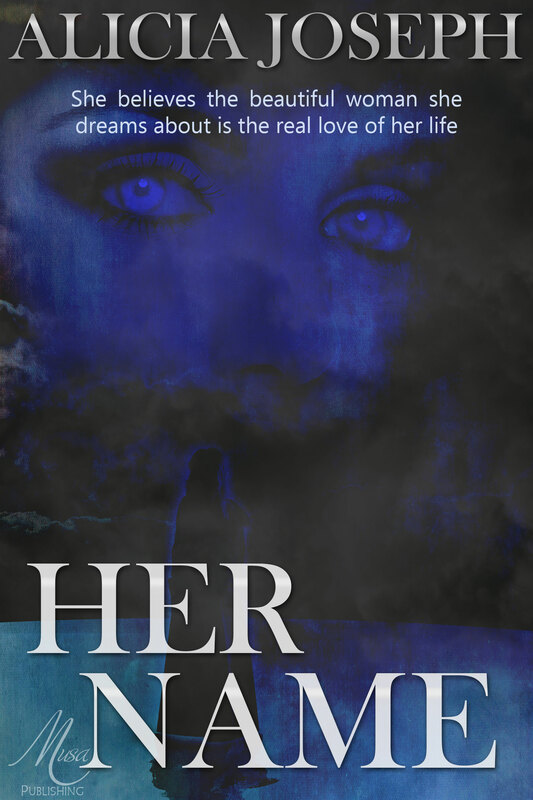 Her Name is a story about a woman, Madison, who believes the beautiful woman she dreams about is the real love of her life. She has vivid dreams of the same woman every night, and soon, Madison believes this woman is the love she has been searching for. Madison’s dreams become more intense and she realizes the dreams she’s having recreate moments taken from actual events from her life–and this woman is there for all of it. Madison searches for her, but how can she find a woman she knows everything about… and yet nothing? She doesn’t even know her name. Shelly and I walked across the dog park, chatting while Shelly’s pooch ran free. I narrowed my eyes at her. “Are you [messing] with me?” I asked. She looked at me, and I suspected she was holding a straight face for as long as she could before she burst out in laughter. “Of course I’m [messing] with you! This is a [frickin’] dream we’re talking about! She’s not real!” she yelled. I pulled away and gave her a hard look. “You know what!” I yelled. I started to let her have it, but stopped myself. I wasn’t sure what I’d expected my friend’s reaction to be, because they were only dreams and everyone had them. Thanks for stopping by and please give a Musa author of your favorite genre a chance!